Biscuit sandwiches: suitable for breakfast or lunch. This weekend's trial run. Photo via Honest Biscuits. 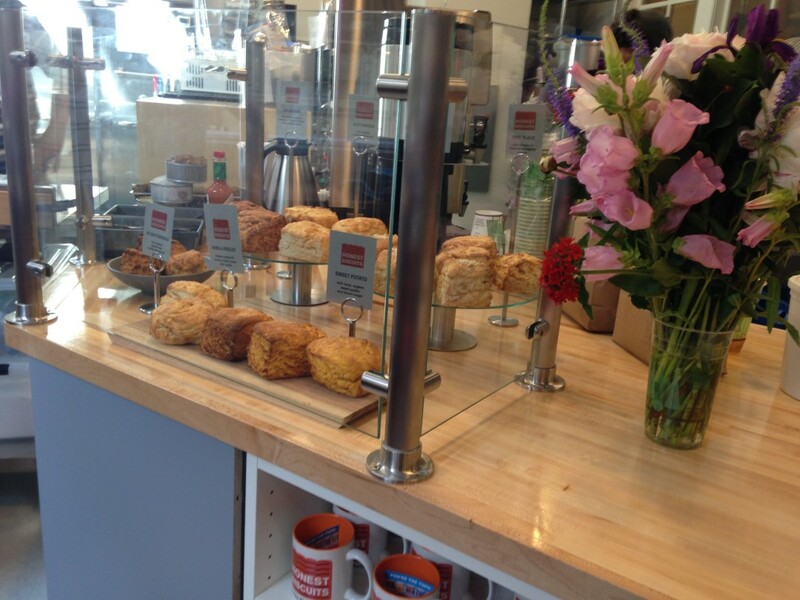 The first thing to know about the new biscuit shop in Pike Place Market: how to get there. Honest Biscuits is in the Economy Market Building, overlooking the atrium, which means you use the market entrance on First Ave right between DeLaurenti and that shop with all the high-larious novelty T-shirts. Once you've found your way, Art Stone's biscuit operation—a favorite at area farmers markets and previously a weekend vendor at Pike Place Market—is ready to serve its craggy, buttery wares. Biscuits come with a simple smear of (housemade) butter or jam, or as one of seven sandwiches, stuffed with egg, perhaps some Tillamook cheese, or even a slice of country ham from Johnston County Hams in Stone's native North Carolina. Honest Biscuits' new brick-and-mortar counter means Stone can actually serve gravy with his biscuits; he makes both vegan and sausage versions. His space doesn't have a fryer, but Stone is pleased with this "oven-fried" chicken workaround. The fried chicken sandwich is one of the lunchier menu items, along with sides like kale slaw, three cheese grits, and pimento cheese, served with baby carrots for dipping, "so it's healthy." The first dessert to make it on the menu thus far is a banana pudding with vanilla biscuits in place of Nilla Wafers. The shop—it's more of a counter, really—also sells biscuit mix (regular and gluten-free) and bags of biscuit croutons, which sound like they'd make a fine TV snack, no salad necessary. There's a row of counter seats overlooking the atrium, and more seats down there if you're so inclined. Honest Biscuits will be open daily at 7am, with tentative plans to close each day at 6pm, but maybe consult the website or Facebook page in case that changes? 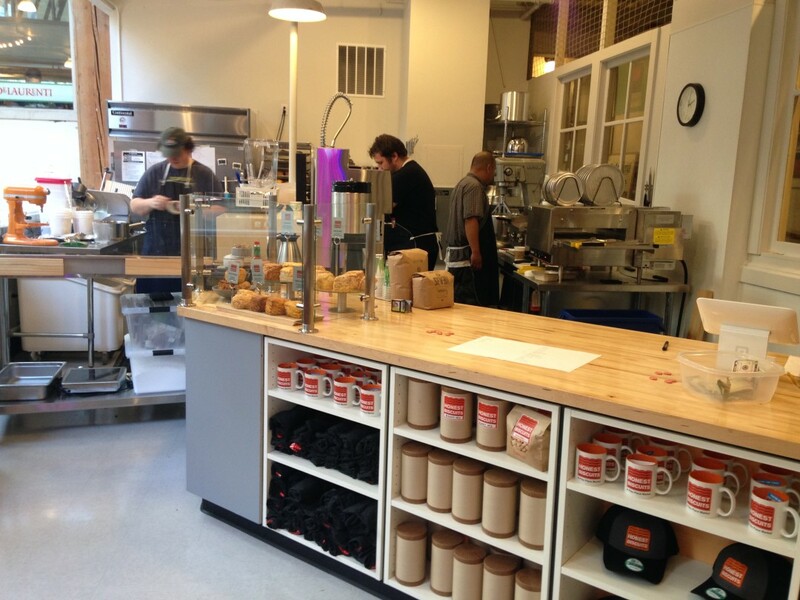 Meanwhile, the company will maintain its neighborhood farmers market schedule, and keep an eye on the progress over at Pike Place Market's upcoming expansion, where Honest Biscuits is in a prelease agreement for a larger space. Here's another biscuit pic for the road. Photo via Honest Biscuits.